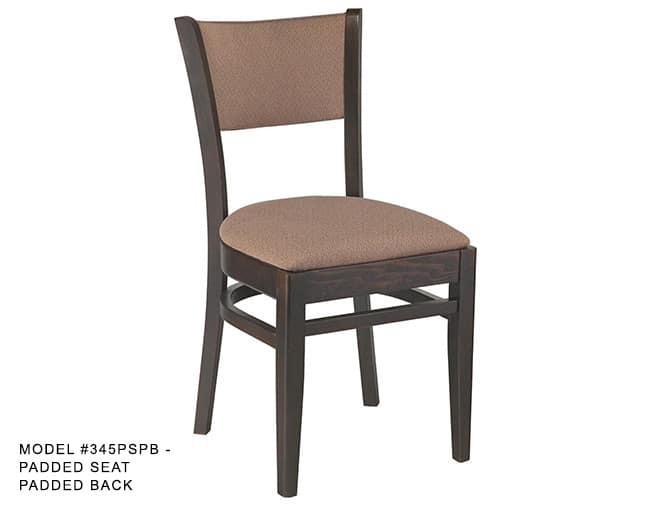 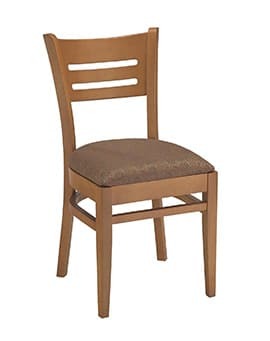 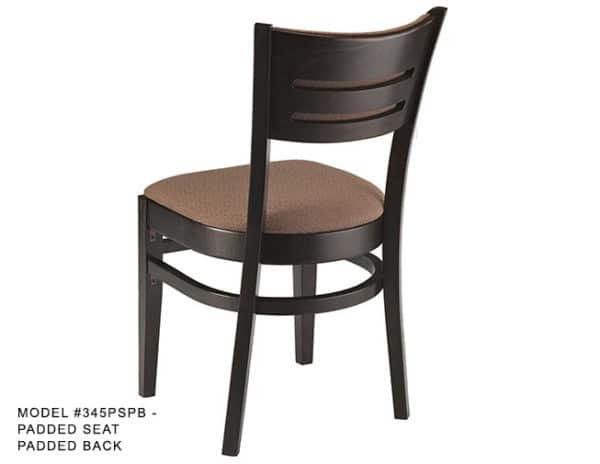 Heavy Duty Horizontal Slat Back Side Chair – Model 345 – Restaurant Chairs by M. Deitz and Sons, Inc. 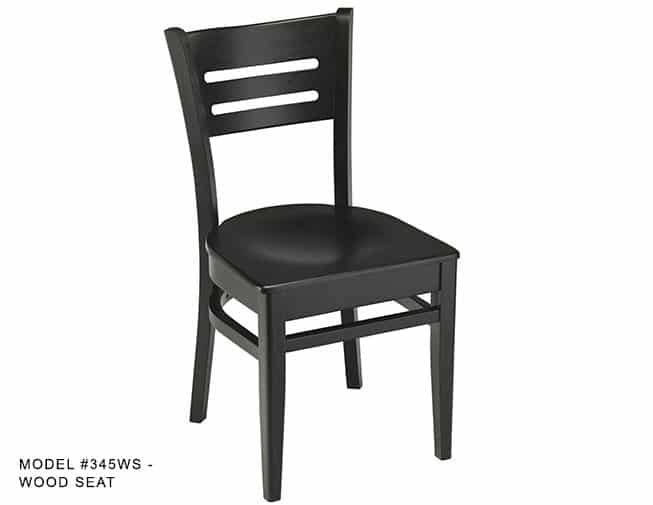 This versatile slat back restaurant chair works in a variety of commercial environments. 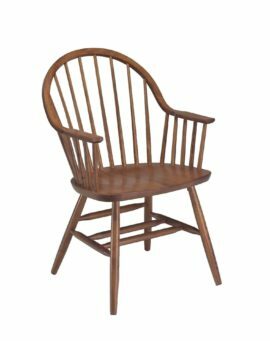 The wood frame chair boasts a sturdy back with a uniquely designed horizontal ladder back interpretation. 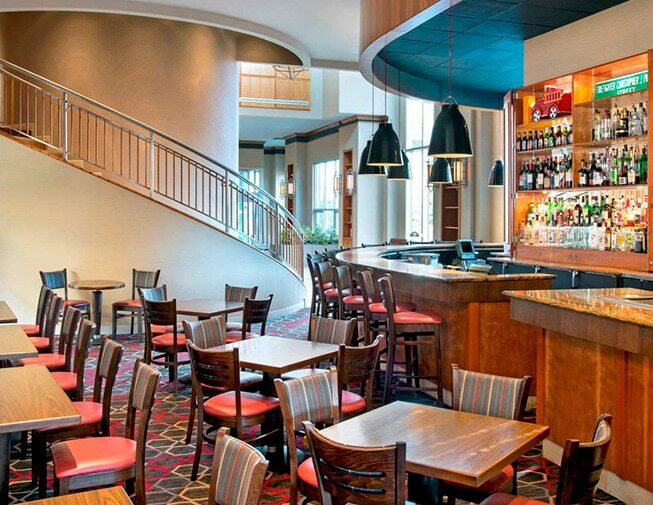 The heavy-duty chair is built to meet the rigorous demands of any hospitality environment and is perfect for restaurants, bars, and lounges. 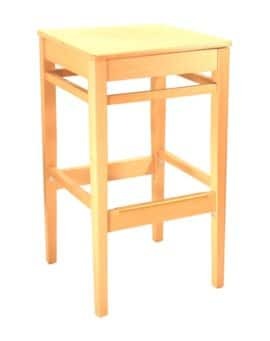 All the joints are hand glued and reinforced with corner blocks and steel brackets. 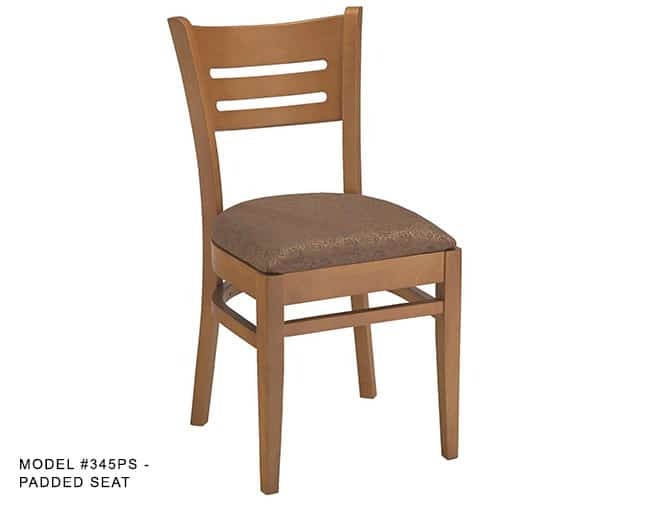 The chairs can be custom crafted to fit your interior design needs. 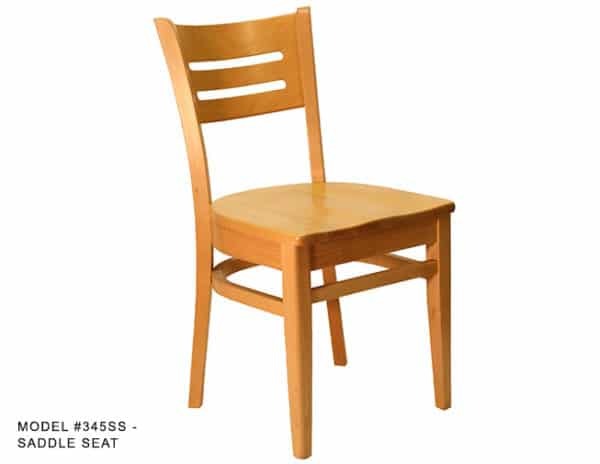 Seat options include a finished plywood seat, finished butcher-block seat, padded seat, saddle seat or a fully wrapped seat. 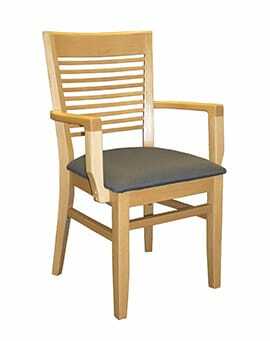 Padded inside backrests and padded outside backrests are also available. 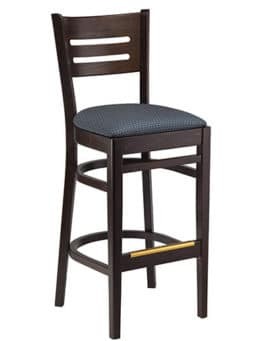 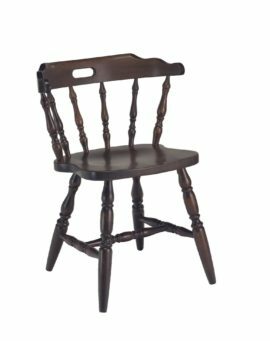 The chair frames are available in a wide variety of wood finishes and a matching bar stool is available. Explore our upholstery options or provide your own. 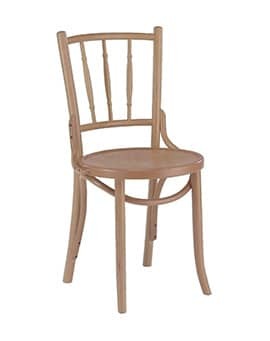 We can help you custom design chairs that are perfect for your venue and hospitality decor. 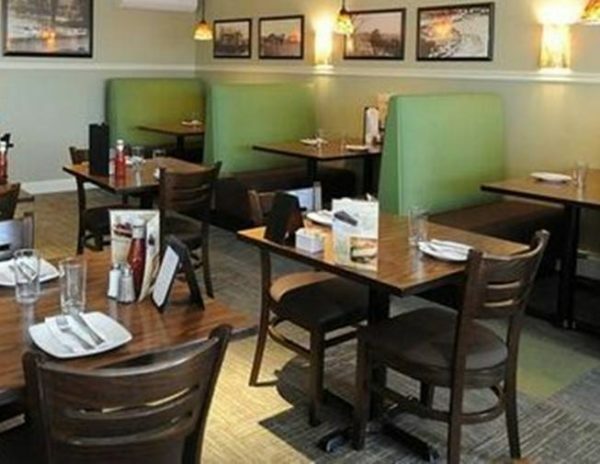 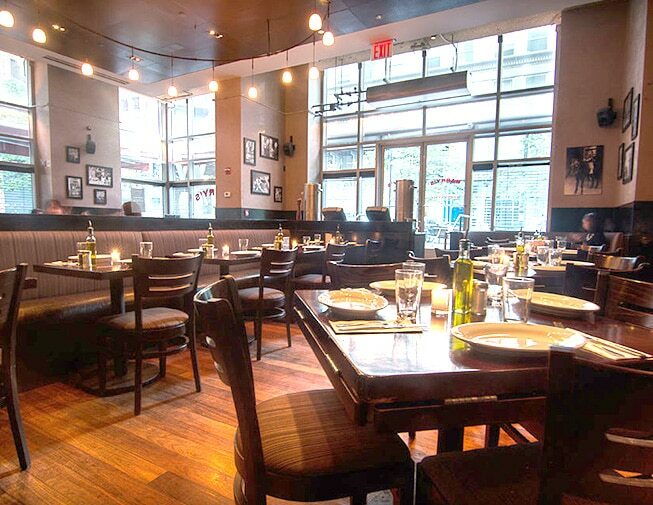 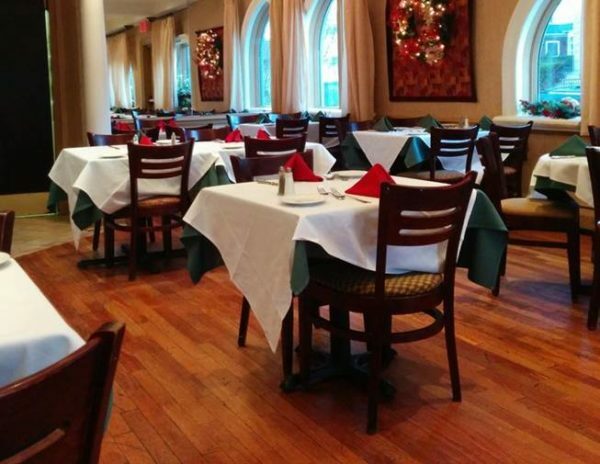 M. Deitz and Sons manufacture these chairs on site and we take pride in working closely with architects and restaurant interior designers to create beautiful, affordable and durable restaurant and bar seating that is one-of-a-kind.